Cobain: Montage of Heck is an evocative visual poem that paints the life and trials of the man at the helm of alt-punkrock band Nirvana. With materials spanning Cobain’s childhood drawings, diaries, comics and countless pages of lyrics, the film takes on his voice, literally at times when the captured voice of a young Kurt narrates the stories on screen. Unlike Nick Broomfield’s documentary Kurt and Courtney which was notably affected by the material withheld by Courtney Love, Montage of Heck is built on a wealth of never before seen artefacts inherited and subsequently shared by their daughter Francis Bean. 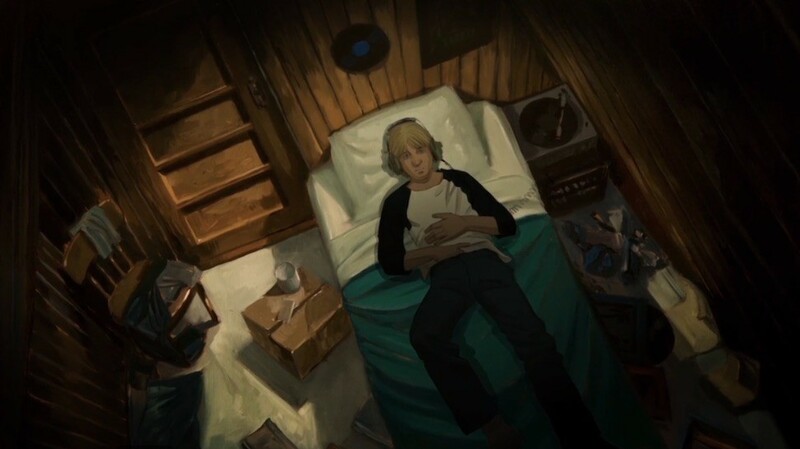 Brought to life through different styles of animation and all set to Cobain’s music as somekind of violent musical, the film becomes a true reflection of his state of mind – each piece finding a place and allowing him to tell his own story. Alternate cuts of Nirvana tracks play as anthems under the teenage bouts of rebellion and depression from which they were born. Scrawled diary notes carry the angst and inner turmoil that would develop into his later more fully formed music, but also carry a poignancy in retrospect of his eventual suicide. Meeting the various stages of Cobain’s torment – from his young, broken-home angst to his conflicted longing for a family and success – bursts of static and feedback blend nightmarish scenes filled with super 8 footage and animated sketches. But it seems that both successes as well as failures pose threats to Cobain, each in turn feels like a punch landed that could be the fatal blow. Along with Nick Cave’s 20,000 Days on Earth, it seems the tired fly-on-the-wall has died and a more personal, complex form of music documentary has taken effect. A truly impressive film.